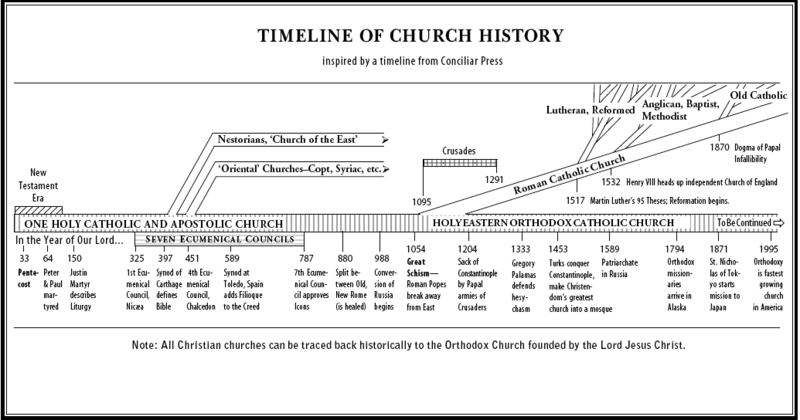 The Orthodox Christian Faith traces back to the Apostolic times, after Christ’s Resurrection. There are approximately 250 million Orthodox Christians worldwide and 1.3 percent of the population in the United States. Eastern Orthodoxy is the single largest religious faith in Belarus, Bulgaria, Macedonia, Cyprus, Georgia, Greece, Moldova, Montenegro, Romania, Serbia, Russia and Ukraine. The Orthodox Church is the Church founded by Jesus Christ and his Apostles, begun at the day of Pentecost with the descent of the Holy Spirit. It is also known in the West as the Eastern Orthodox, or Greek Orthodox, Church. The Orthodox Church traces unbroken succession to the Apostles (i.e., Apostolic Succession). Therefore, each bishop ultimately receives his consecration from our Lord Jesus Christ. All the bishops of the Church, no matter their titles, are equal in their sacramental office. At an ecumenical council, each bishop may cast only one vote, whether he is the Ecumenical Patriarch or an auxiliary bishop without a diocese. There is thus no equivalent to the Roman Catholic papacy within the Orthodox Church. As with its Apostolic succession, the Faith held by the Church is that which was handed down by Christ to the Apostles, and by the Apostles to the earliest generations of Christians. Nothing is added to, or subtracted from, that deposit of faith which was “handed once for all to the saints” (Jude 3). Throughout history various heresies have afflicted the Church; and at those times the Church made dogmatic pronouncements (especially at ecumenical councils) delineating in new language what had always been believed and experienced by the Church, thus preventing the spread of heresy. The primary statement of faith of the Orthodox Church is the Nicene-Constantinopolitan Creed. The sole purpose of Orthodox Christianity is the salvation of every human person, uniting him to Christ in the Church, transforming him in holiness, and imparting eternal life. This is the Gospel, the Good News: that Jesus Christ is the incarnate God, that He loves mankind, and that He suffered death and arose from the dead, so that in Him we may be saved.